If you’re like many women, chances are you go to great lengths not to burden those around you. But the signs of stroke demand immediate attention, even if it seems like the worst possible timing. Shermane Winters-Wofford remembers the symptoms of her stroke like it was yesterday. On a first date at a nice restaurant, she was all butterflies and excitement. But as soon as Shermane and her date were seated at the table, she began sweating and her chest tightened as though her heart were in a vice. This wasn’t just first-date jitters. When her vision began to blur and she was unable to lift her arm, Shermane’s date offered to take her to the hospital. But she didn’t want to be any trouble. Less than an hour later, she went to the emergency room and learned she had suffered a stroke. Like many women, Shermane had always considered herself perfectly healthy and didn’t take the time to learn the warning signs. By ignoring them, she could have lost her life. You should never wait more than five minutes to dial 9-1-1 if you experience even one of the signs above. 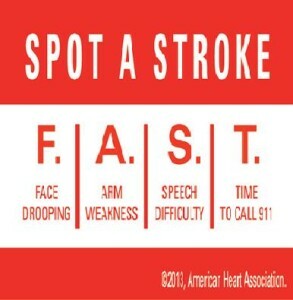 Remember, you could be having a stroke even if you’re not experiencing all of the symptoms. And remember to check the time. The responding emergency medical technician or ER nurse at the hospital will need to know when the first symptom occurred. Stroke is not only the No. 4 cause of death in the United States, it’s also a leading cause of severe, long-term disability. That’s why it’s important to take action immediately. Research conducted by The American Stroke Association shows that patients who take a clot-busting drug, or thrombolytic, within three hours of their first stroke symptom can reduce long-term disability from ischemic stroke – the most common type, accounting for about 87 percent of all cases. When you know the signs of stroke, the life you save could be your own or someone else’s – as was the case with Shermane’s attentive date. Learn to spot the signs of stroke, or spot a stroke F.A.S.T. 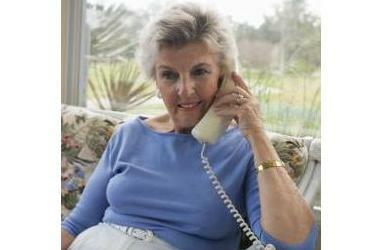 (Face drooping, Arm weakness, Speech difficulty, Time to call 911) with the help of our mobile app for iphone/ipad. Your life is in your hands! For most families, holidays are filled with opportunities for togetherness, sharing, laughter and memories. But holidays can also be filled with stress, disappointment and sadness. Because of the changes he or she has experienced, the person with Alzheimer’s may feel a special sense of loss during the holidays. At the same time, caregivers may feel overwhelmed maintaining holiday traditions while caring for their loved one. 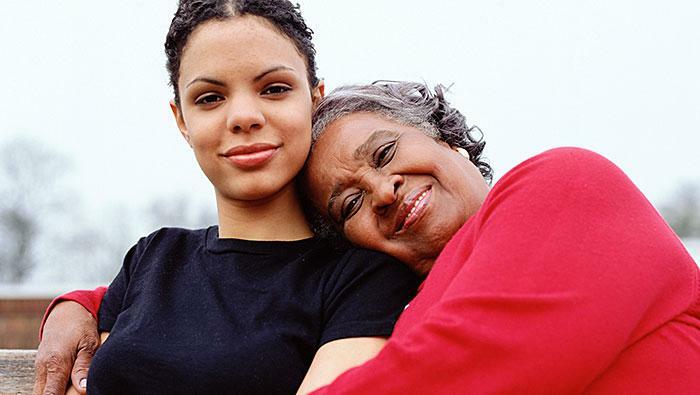 In addition, caregivers may feel hesitant to invite family and friends over to share the holiday for fear they will be uncomfortable with behavior changes in the family member. 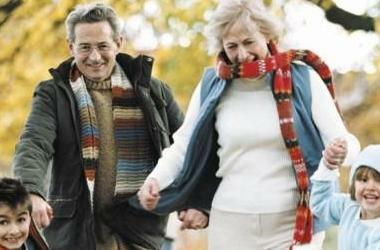 Here are some suggestions that may help to make holidays happy, memorable occasions. • Call a face-to-face meeting or arrange for a long-distance telephone conference call with family and friends to discuss holiday celebrations. Make sure that everyone understands your caregiving situation and have realistic expectations about you can and cannot do. No one can expect you to maintain every holiday tradition or event. • Give yourself permission to do only what you can reasonably manage. If you’ve always invited 15-20 people to your home, consider inviting five for a simple meal. Consider having a potluck dinner or asking others to host the holiday at their home. • Maintain the person’s normal routine so that holiday preparations don’t become disruptive or confusing. Taking on too many tasks can wear on you and the person. • Build on past traditions and memories. Your family member may find comfort in singing old holiday songs, for example. But also experiment with new holiday traditions, such as renting seasonal videos. 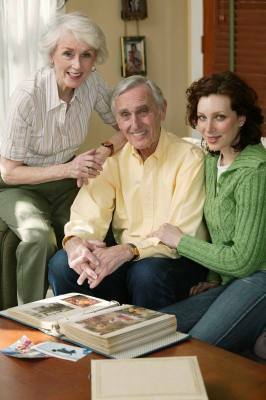 • Encourage people to buy useful gifts for the person such as an identification bracelet (available through MedicAlert® + Alzheimer’s Association Safe Return®); comfortable, easy-to-remove clothing; audiotapes of favorite music; videos; and photo albums. • Advise people not to give gifts such as dangerous tools or instruments, utensils, challenging board games, complicated electronic equipment or pets. 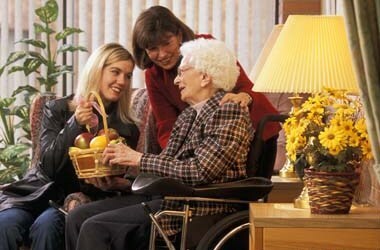 • Depending on his or her abilities, get the person involved in giving gifts. For example, someone who once enjoyed cooking may enjoy baking cookies and packing them in tins or boxes. Or, you may want to buy the gift and allow the person to wrap it. • If friends or family members ask what you want for a gift, suggest a gift certificate or something that will help you out as you care for your loved one, like a cleaning or household chore service. • Consider celebrating over a lunch or brunch, rather than an evening meal, to work around the evening confusion or sundowning that sometimes affects some people with Alzheimer’s. Also consider serving nonalcoholic drinks and keeping the room bright. • Prepare for post-holiday letdown. Arrange for in-home care so you can enjoy a movie or lunch with a friend and reduce post-holiday stress. • Holidays are opportunities to share time with the people you love. Try to make these celebrations easy on yourself and the person with Alzheimer’s disease so that you may concentrate on enjoying your time together. MedicAlert + Safe Return is a 24-hour nationwide emergency response service for individuals with Alzheimer’s or related dementia that wander or who have a medical emergency. To learn more or to enroll, contact your local Alzheimer’s Association, call 1.888.572.8566 or register online at www.alz.org. 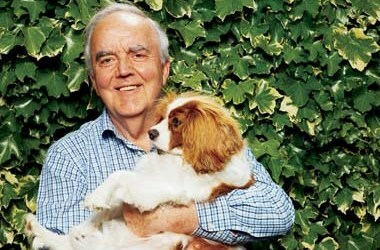 1.800.272.3900 | www.alz.org © 2007 Alzheimer’s Association. All rights reserved. This is an official publication of the Alzheimer’s Association but may be distributed by unaffiliated organizations and individuals. Such distribution does not constitute an endorsement of these parties or their activities by the Alzheimer’s Association. We want to take this opportunity to say a special thanks to all of our veterans, past and present, at home and abroad. Your special gift to all of us has not gone unnoticed and is so very much appreciated. For more information on caregiving at home, call PA Home Care of Lancaster at 717-464-2006 and we’ll be happy to talk with you about your particular and unique needs. Please come out and join us for our next Alzheimer’s/Dementia support group meeting. The meeting will be Wednesday, November 6th at 7:00pm. The meeting will be held this month at Grace Community Church of Willow Street located at 212 Peach Bottom Rd. Willow Street, PA 17584. 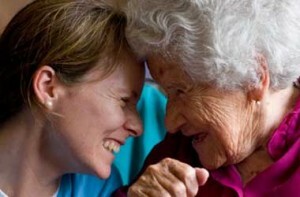 This month we will be discussing Intimacy and Dementia. There will be an opportunity for group discussion. We hope to see you there! Join PA Home Care of Lancaster and the Alzheimer’s Association for our monthly community education group. Meetings are the first Wednesday of every month; we meet at 7 pm and continue until 8:15 pm. PS – Please note that next month, December 4th, we will return to The Willow Lakes Outpatient Center. The address is 212 Willow Valley Lakes Drive in Willow Street, PA 17584. Our topic then will be Self Care. If you or someone you love is living with dementia, please consider joining us. Make the cupcakes: Heat oven to 350° F. Line a standard 12-cup muffin tin with paper liners. Whisk together the flour, sugar, cocoa, baking soda, baking powder, and salt in a medium bowl; set aside. In a separate bowl, whisk together the soy milk and vinegar; set aside until curdled, 5 minutes. Whisk in the canola oil and vanilla extract. Whisk the wet ingredients into the dry ingredients until just combined (do not overmix). Divide the batter among the muffin cups and bake until a toothpick inserted in the center comes out clean, 15 to 18 minutes. Let cool in the tin for 5 minutes, then transfer to a wire rack to cool completely. Make the frosting: Place the chopped chocolate in a small bowl. Heat the soy milk in a small pot over medium heat. Pour over the chocolate (make sure all the chocolate is covered). Let sit for 2 minutes, then whisk until smooth and shiny. Let cool for 5 minutes. 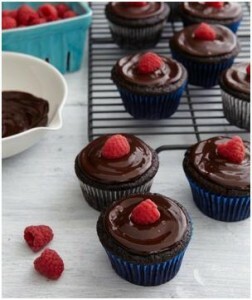 Frost the cupcakes and top each with a raspberry.